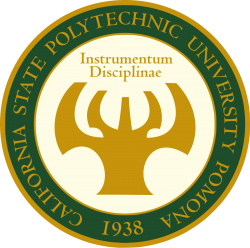 Assistant or Associate Professor, Experimental Psychology – Cal Poly Pomona: The Psychology and Sociology Dept. invites applications for the position of assistant or associate professor of psychology to begin Fall 2018. The successful candidate will work with recent hires in the Departments of Electromechanical Engineering Technology and Mathematics & Statistics as part of a cluster focusing on research-based pedagogy in STEM. The candidate should also have excellent quantitative and/or mixed methods skills. The Ph.D. must be completed by August 15, 2018. Evidence of teaching ability and scholarly potential required. The position is open until filled, but first consideration will be given to completed applications submitted no later than October 15, 2017, to http://www.cpp.edu/~class/open-positions/applications/ps-stem.shtml. EOE/Minorities/Females/Vet/Disability. For expanded position description and application, please go to http://www.cpp.edu/~class/open-positions/ps-stem.shtml, or contact Leticia Keenan at leticiak@cpp.edu.